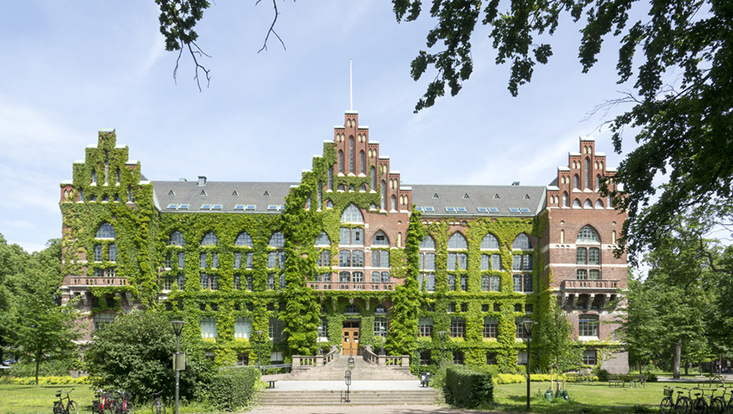 Applicants are invited to apply for a PhD position in environmental sciences at Lund University, Sweden. This position is available for four years. Applicants should apply before November 25, 2018. The activities of the Department of Astronomy and Theoretical Physics are centred around three main areas: Astronomy and Astrophysics; Theoretical Particle Physics; and Computational Biology and Biological Physics. Our research is driven by our curiosity to understand reality, from the smallest of particles to the largest astronomical structures, as well as the structure of Life itself. We have a strong international position in all three areas, and we are actively working on further strengthening our international profile. The Theoretical Particle Physics group has openings for up to three Doctoral students in Particle Physics Phenomenology, starting in the beginning of 2019, or by agreement. Subsequent to recent recruitments, the Lund group consists of ten senior scientists, six post-doctoral fellows and nine PhD students. Rikkert Frederix, Leif Lnnblad, Stefan Prestel, Malin Sjdahl, Torbjrn Sjstrand, Korinna Zapp and Gsta Gustafson (emeritus) workon a broad spectrum of QCD and collider phenomenology, with emphasis on event generator development and applications thereof. Johan Bijnens mainly works on hadron and flavour physics, notably with chiral perturbation theory as a tool. Johan Rathsman and Roman Pasechnik are mainly working on the phenomenology of physics beyond the Standard Model, especially Higgs physics and unified gauge theories. Further information about the group can be found on the website http://particle.thep.lu.se/. We enjoy good relations with the experimental particle physics group in Lund, which is a member of ATLAS and ALICE, and which explores the possibility of fundamental physics experiments at the upcoming European Spallation Source in Lund. The successful applicants will all work on topics related to simulation of heavy ion collisions within the scope of the ERC project collectiveQCD and the KAW project CLASH. These projects are led by Korinna Zapp and Leif Lnnblad, respectively, and both projects involve the development of new models for collective effects, and the implemention of these in Monte Carlo event generator programs. Special emphasis will be put on investigating observables of such effects not only in heavy ion collisions but also in smaller collision systems. Supervisors will be appointed at the beginning of the studies, and integrate each student in their ongoing research. The students are also expected to take a number of courses in theoretical physics, see http://home.thep.lu.se/~bijnens/PhD/ and https://www.science.lu.se/sites/science.lu.se.internal/files/syllabi_theoretical_physics.pdf and may be required to perform a modest amount of other duties, such as teaching and administration, according to the specific regulations. The position is open to students of all nationalities who fulfills the basic and special eligibility demands in the study plan https://www.science.lu.se/sites/science.lu.se.internal/files/syllabi_theoretical_physics.pdf. In brief the requirements are that the student, at the time of starting the PhD studies, have completed a master degree in physics or theoretical physics, alternatively have completed a bachelor degree, plus an additional full year of advanced-level physics or theoretical physics, i.e. a total of at least four years of full-time University studies (240 ECTS credits), or have obtained equivalent qualifications in Sweden or abroad. Detailed rules can be found at http://www.science.lu.se/education/phd-studies. Fluent spoken and written English is required. Regulations concerning appointment as a full PhD student can be found in HF 5 Chap 1-7 and SFS 1998:80. Those who hold a doctoral student appointment must first be accepted for postgraduate study. To be accepted, a student must be judged to have the competence necessary to complete a PhD during the tenure of the appointment. Among candidates, a ranking will be based on grades, the quality of undergraduate theses, if any, letters of recommendation, other relevant information provided, and ultimately (phone) interviews. Previous courses and project work in particle physics is an advantage. Experience with scientific programming in a Unix/Linux environment is also a merit, especially familiarity with C++. The application should be submitted electronically using the recruitment system of Lund University https://www.science.lu.se/about-the-faculty/job-vacancies. On the linked page to the current positions click on the “Login and apply” button and follow instructions. Applications instead sent directly to one of the group members cannot be considered. Applications should include a curriculum vitae, a description of research interests and past experience, copies of degrees, diplomas and grades, and copies of any previous research-related work. The CV should contain at least date and place of birth, nationality, address, education, and language skills, but may also contain e.g. additional skills, personal interests, honors and awards, teaching experience, conference and summer school participation, and publication lists. Upon request the applicants must be able to show original documents of degrees etc. The application should also include the names, positions, telephone numbers and e-mail addresses of at least two persons who have agreed to serve as a reference for the applicant. They need not send letters until contacted, but if they do, letters should be sent by e-mail directly to leif.lonnblad@thep.lu.se .